The OFC World Championship €10,000 High Roller is back from the dinner break with a total of 27 entries already beating last year's record by 4, at least for now as late registration is still open. 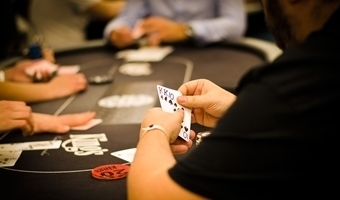 As is by the way for the €500 guaranteed online freeroll at the Tonybet poker site. To play the free tournament and get your share of the €500 guaranteed cash, just download Tonybet Poker, go under the 'Special' tab, select the special event and enter the password Fantasyland. Good luck! 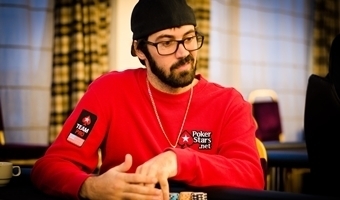 While the High Roller event has just reached the 25 entry mark with Jason Mercier busting and then immediately re-entering to rejoin the same table, the €120 Last Minute Satellite to the main Event has just started on the side. If you're in Prague and looking for some Open Face Chinese action, this is a great opportunity to play for a really small price. You can still make it as late registration is open until the start of level 10. However, these are just 15 minute levels, so hurry up! It's Official - this Year's High Roller is the Richest OFC Event in History! This just kicked-in - with 24 entries already, today's Open Face Chinese World Championship €10,000 High Roller becomes the richest OFC tournament in history, beating last year's 23 entrants. Last December the event gathered a whopping €218,500 prizepool which is going to be even bigger this year. Alexandra Usoltseva became the player #24 making the new record possible. However, no one doubts that the number is still going to grow. With 23 entries in the Open Face Chinese Poker World Championship High Roller event we've already reach last year's digits! The game is now in level 5 and with the late registration and re-entries still available until the start of level 10, it's almost certain, the field is still going to grow! Unfortunately, the 2014 champion Jennifer Shahade is already out of the competition, which means we're going to have a new champion! Stay tuned for all the latest updates from the biggest OFC poker tournament! With 22 entries already and some of the High Rollers still on their way, it seems like last year's record of 23 entrants is about to be beaten together with the biggest prizepool, which means that today's winner will collect the biggest first-place prize in live OFC history! While you grasp your mind around that, here are some more very nice pics from the field. It's no secret that many poker players are also into casino games - if you're one of them, we have great news for you! 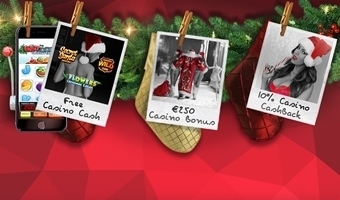 This December TonyBet Casino is running a huge promotion with as many as three BIG presents. We have a €3 FREE Bet, a bonus of up to €250 and 10% weekly cashback offer for those who lose at least €50. To find out more and play some of the best online casino games available in the market, go to the Casino Xmas page. With more big names like last year's High Roller champ Jennifer Shahade, Italian star Max Pescatori and the recent Progressive Pineapple champion Isabelle Mercier joining the action, here are more pictures from the OFC World Championship High Roller event. With 21 players already at the tables, here are the first pics of the day featuring Jason Mercier, Dan 'Jungleman' Cates and Natasha Barbour. 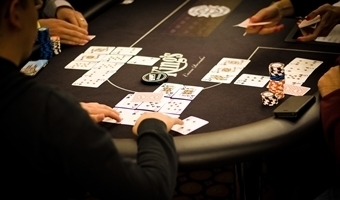 The most star-packed and the richest live Open Face Chinese Poker event of the year, the Tonybet OFC World Championship €10,000 High Roller has already kicked-off here in King's Casino at the Corinthia Hotel in Prague. 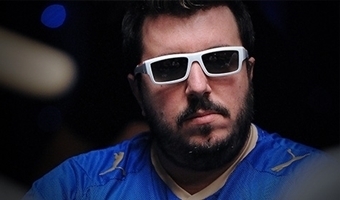 The field already features such names like Jason Mercier, Dan 'Jungleman' Cates, Dzmitry Urbanovich, Sergey 'Gipsy' Rybochenko, Vladimir Troyanovskiy with a total of 19 players at the tables at the end of level 1. After 12 hours of play, we finally have our brand new and the first one in history, Open Face Chinese Poker Progressive Pineapple world champion, Isabelle Mercier. In the heads-up battle she defeated Germany’s Frank Gohletr and will now carry the honor of calling herself the ultimate Progressive Pineapple World champion. At least until next December. After 9 hours of play it's the Final 4 here at the Open Face Chinese Poker World Championship Progressive Pineapple event. 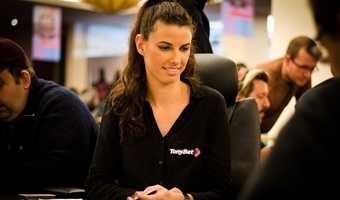 Among the last four standing are none other than Tonybet Poker's own Isabelle Mercier, local hero Jan Štefek, and Finland's Petri Heinanen. We're currently in level 16 at 6,000 per point. 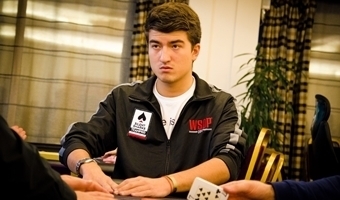 Breaking OFC poker records has besically become a routine for the Tonybet World Championship as the €350 Progressive Pineapple event became the biggest ever live tournament for this variation of the game in both the number of players and the collected prize pool. A total of 108 entries have been made gathering a prizepool of €37,800. 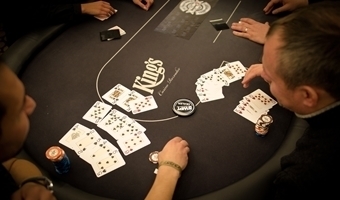 Players were busting pretty fast tonight and with around 20 of them still alive after 8 levels of play, the late registration and re-entries are closing before the end of the break. If you're still thinking of playing this one, HURRY UP! The predicted payout structure should see at least 12 players finishing in the money. 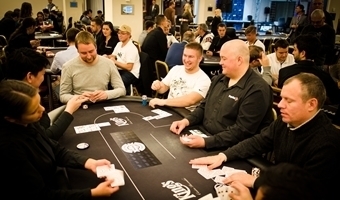 The players are back at the tables after the first break of the night for level 5 with 48 out of the 88 entrants still in the running for the first title of the championship. It so happens that we just got the first bunch of pics. Here they are! 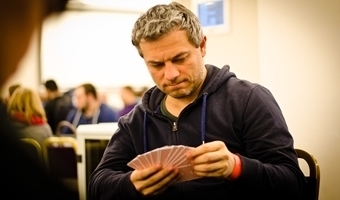 There are a few names at the Progressive Pineapple tables that should ring a bell to those following the European poker scene. 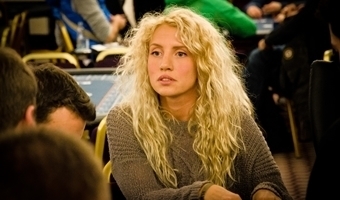 First, of course, is none other than our own team pro Isabelle Mercier, accompanied by the Russian star Sergey 'Gipsy' Rybochenko, Italy's Max Pescatori, and our last year's Main Event runner-up Jan Hendrik Tapken.